Keiko is an 18-year-old student we met while out on the Harajuku neighborhood one evening. His monochrome punk style easily caught our roving eye. 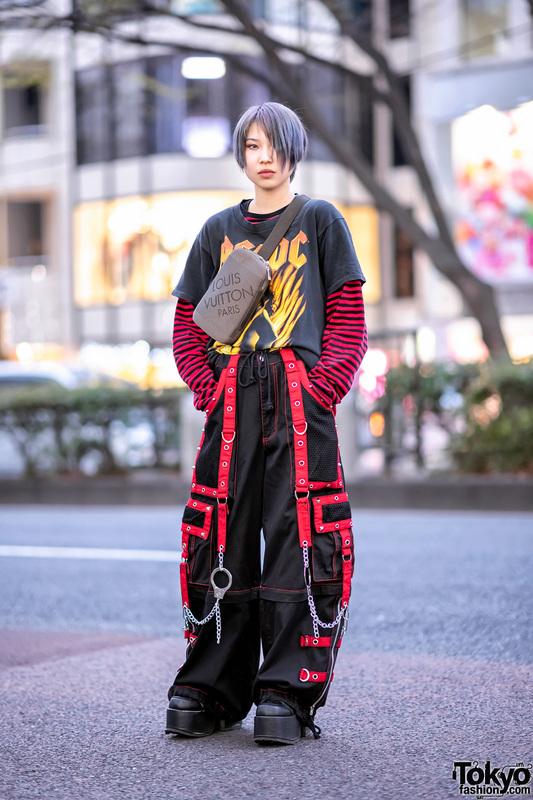 Sporting a blonde bob with blunt bangs, Keiko is dressed in an outfit sourced from 99%IS-, which consists of a black leather motorcycle jacket, a white monochrome print t-shirt, and leather pants with studded spikes down each side. 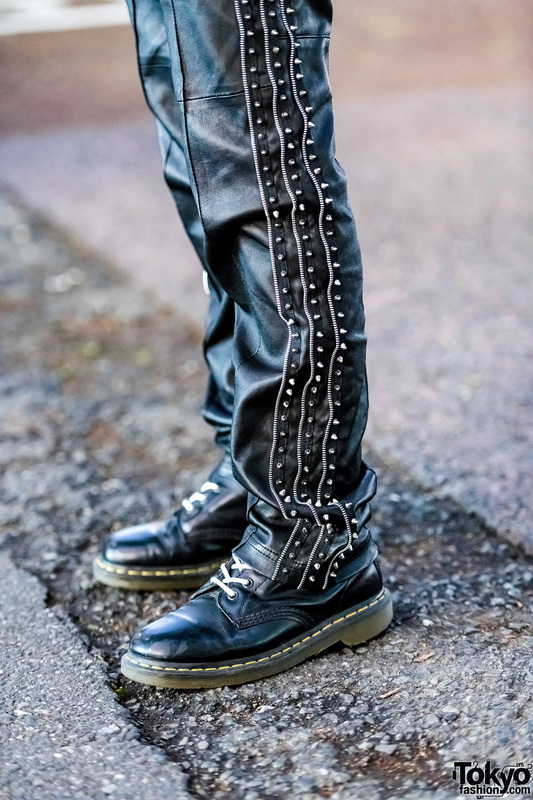 He finished off his street style with a pair of black Dr. Martens boots with white laces, and stud earrings on each ear. 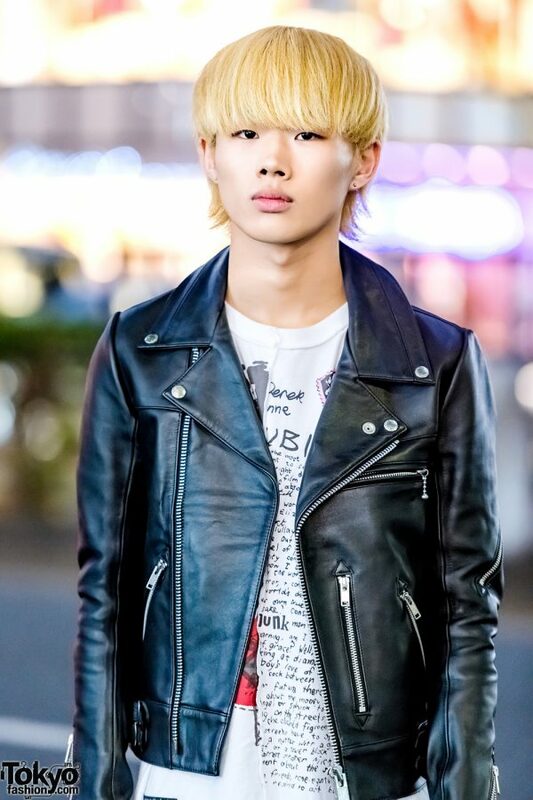 Candy Stripper and 99%IS- are two of Keiko’s favorite fashion brands, and he likes listening to the music of South Korean boy group, NCT. For more on Keiko, follow him on Twitter and Instagram.